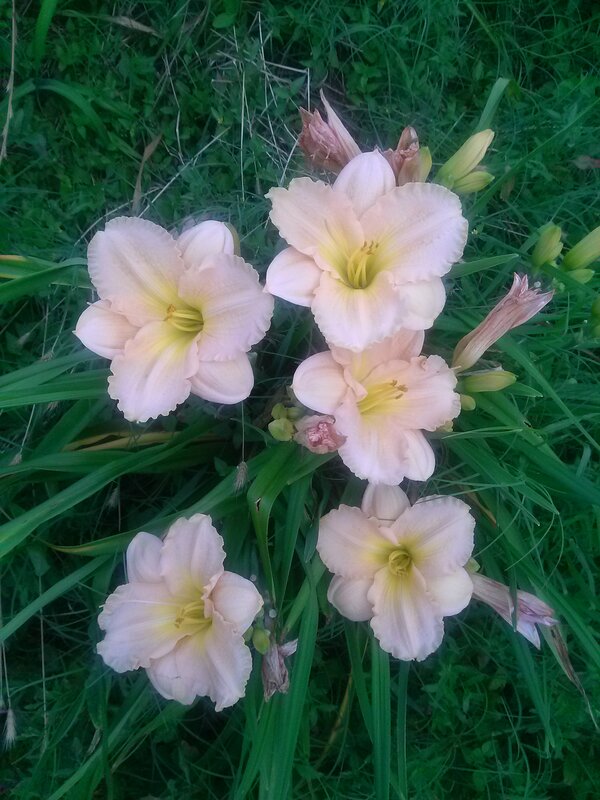 Some of my daylilies are repeat bloomers — they take a brief break during the heat of summer, then return in the Fall. First of the maroon blooms for Theron! Daylilies can be propagated by “proliferations” (or by seed, or by division). Proliferations are the small plants that arise from “joints” in the scape (see photo left); these small plants can emerge at any time after the scape develops. All daylilies are capable of producing proliferations—if environmental conditions are favorable. There is one daylily in my collection that produces viable proliferations each year; the others do not. Notice that the proliferation on this scape is beneath a seed pod. 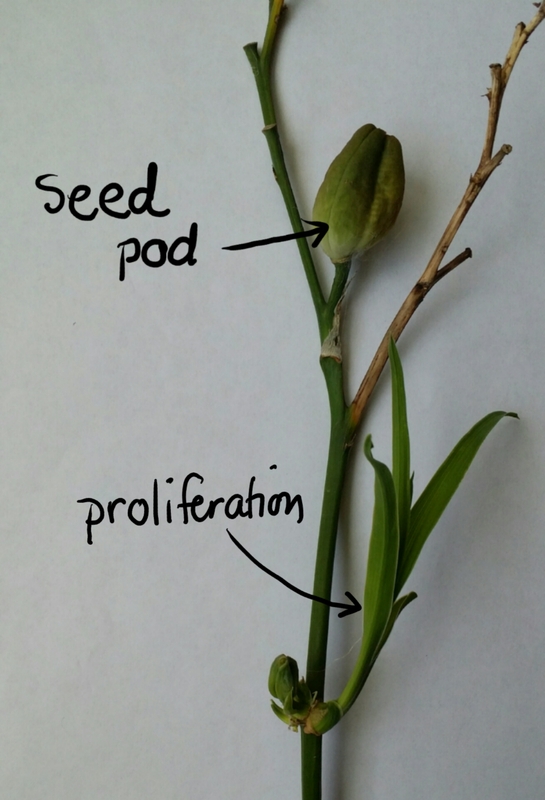 The plant will keep the seed pod alive and that, in turn, keeps the proliferation alive. 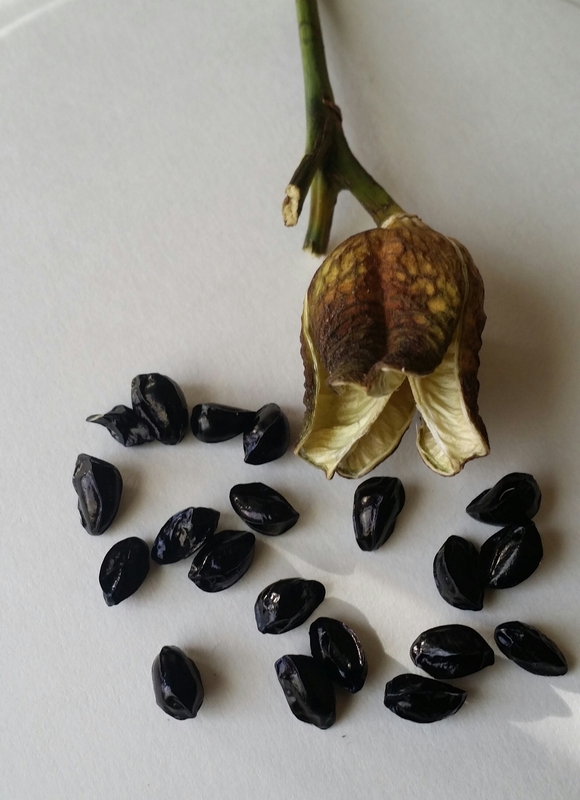 If the seed pod dies, the scape also dies and turns brown, destroying any immature proliferations still attached to the scape. There are two “red” daylilies in my perennial gardens; one is ‘Prelude to Love’ and the other is ‘Theron’. I describe each of them as maroon–probably due to my Aggie lens! (We are both Texas A&M University former students). 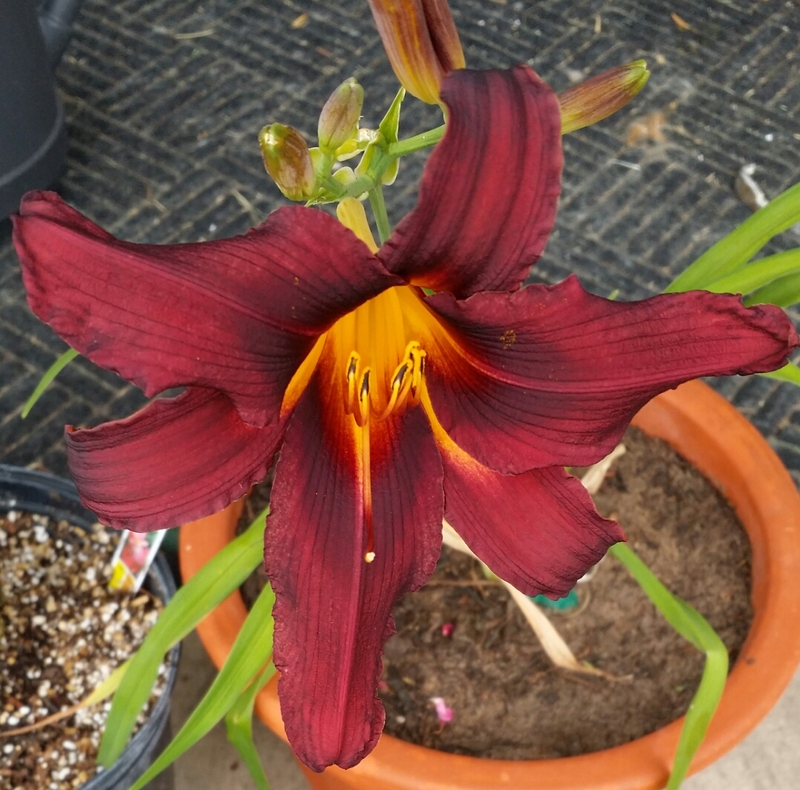 Theron was the first “red” daylily—bred by Stout and released in 1934 (Dormant, blooms mid-May throught mid-June, no repeat) This was a pass along plant for my mother-in-law, and I acquired it from her about 8 years ago. I found it in a garden bed near the house, shaded from overgrown oak trees planted over 20 years earlier (but originally in full sun). Once carefully dug, I realized that there really wasn’t much time left because the tubers were tiny and there were only 3 of them. With care, I managed to bring it back to blooming and spreading. 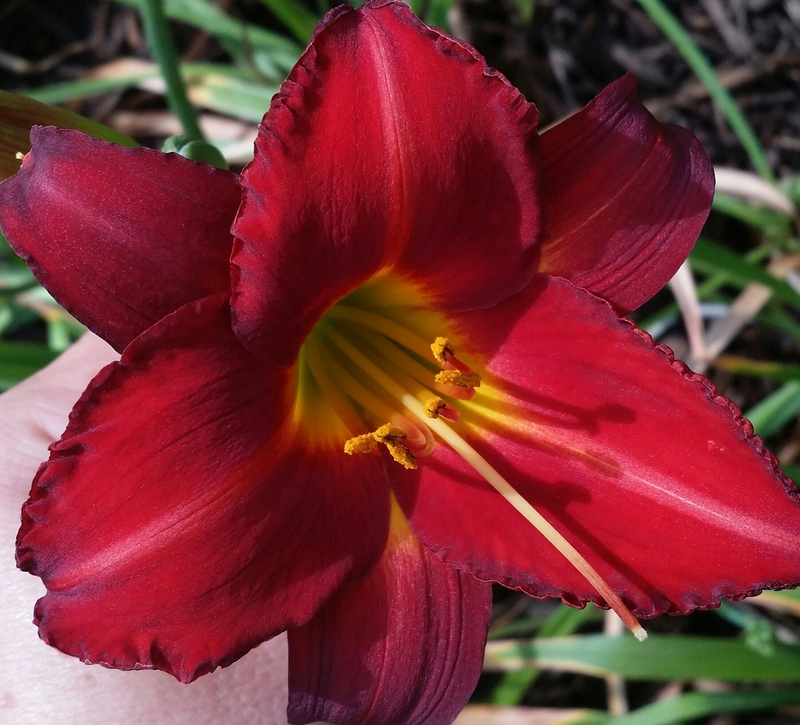 Purchase in 1995, ‘Prelude to Love’ was one of the first daylilies I bought (that maroon lens again!). This is a dormant, mid-June through July repeat bloomer. Until this year, I thought that both of these were gone. They were discovered in unruly clumps of daylily tubers and roots—continued growing, but ceased blooming. This year, they both have new locations in the improved raised bed. I expect to see a lot more of both of them from now on! After preparing new bed space (Part 1), Here’s how I divided the daylilies, beginning with one Clump of Daylilies (see photo, left). 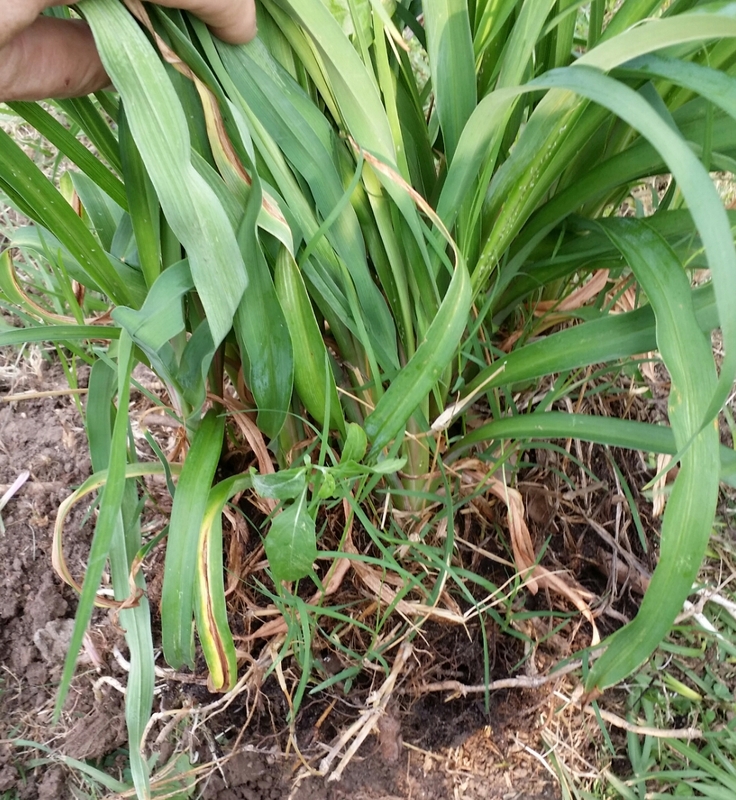 this clump was dug with a hand spade; this clump has quite a bit of bermuda grass and weeds woven throughout the daylily roots–those can be removed as the clump is divided into single plants (also called “fans”). This daffodil — most likely Narcissus x golden dawn — has happily revealed its first flowers on this first day of Spring. 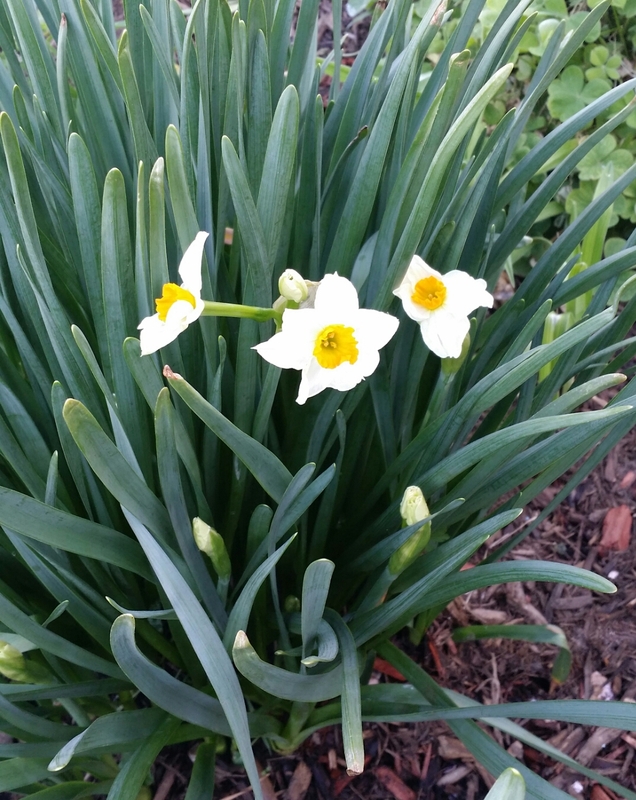 This clump of daffodils began as 3 or 4 bulbs planted in 2006; so these bulbs have not only survived the drought, heat, and the winter of 2014, but they have proliferated greatly! 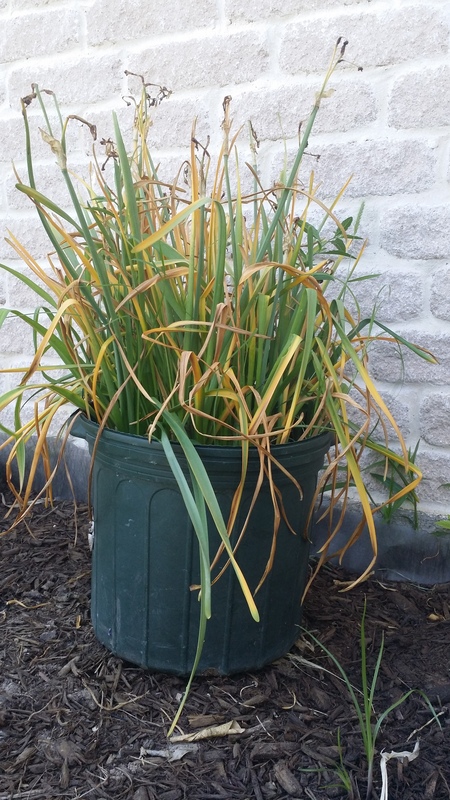 We have very few daffodils that tolerate the summer heat during dormancy. I’m certainly glad to see these gems in the perennial bed! My perennial garden bed is primarily composed of daylily (hemerocallis spp.) varieties. 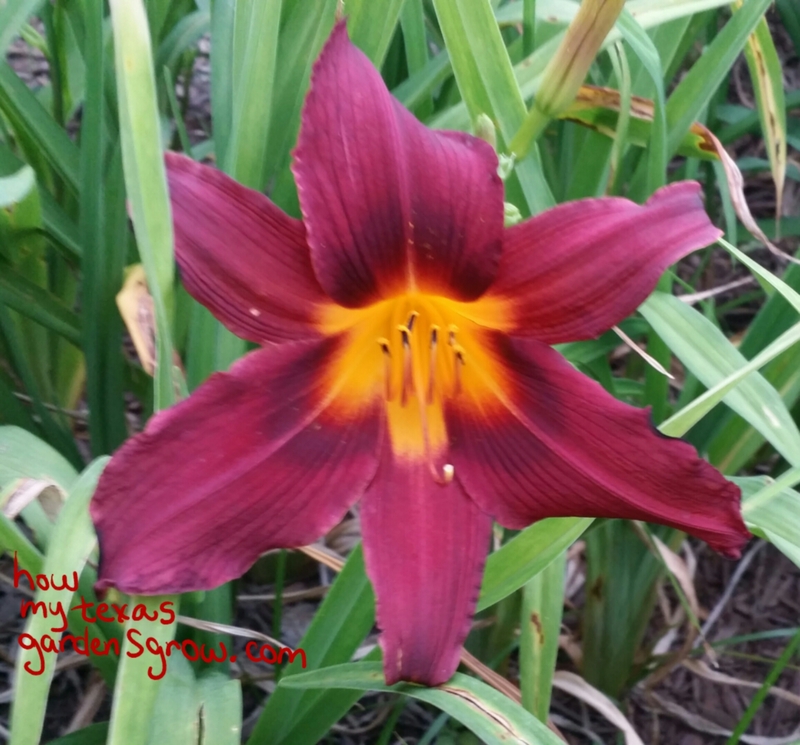 My daylily garden began in 1995, when I mail-ordered the first set of plants. After accumulating about 12 varieties, I stopped purchasing and began maintaining those already in the garden. Over time, the daylilies form clumps that become more and more crowded — resulting in plants that produce few flowers and partially die back.